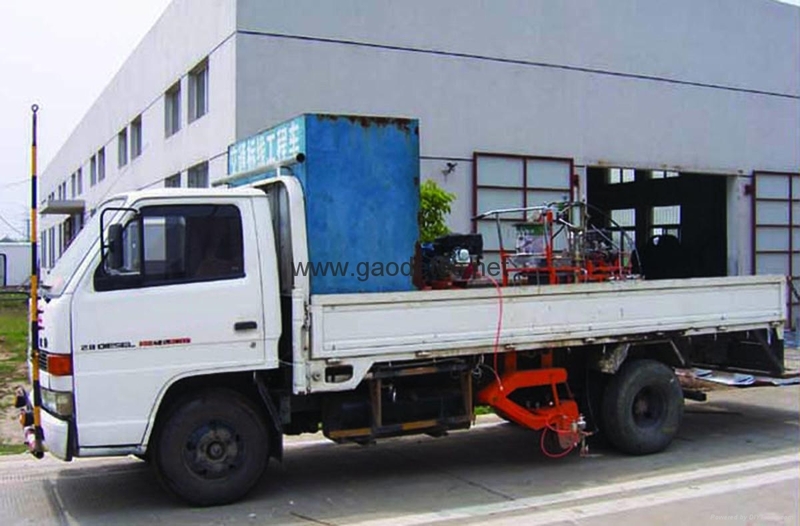 The hand push and truck-mounted dual purpose high pressure airless cold paint road marking machine is the high pressure, equal flow airless striper. 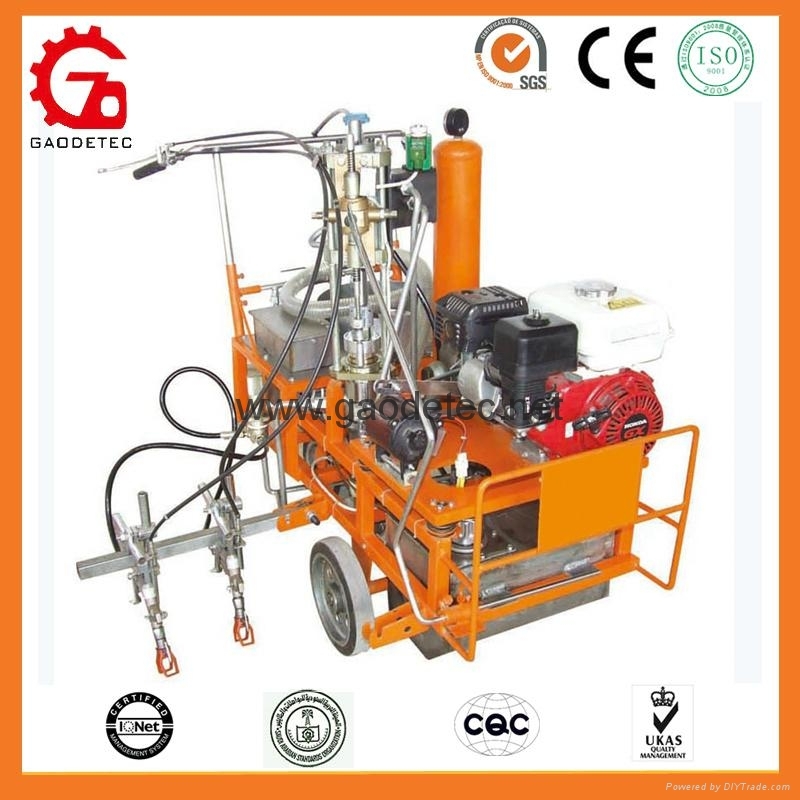 The machine uses gasoline engine to drive the single plunger pump and makes the coating in high pressure inside of the engine to spray, so that the lines are uniform in thickness and angles. The direction bar of gun shelf can be adjusted up and down, which can conveniently adjust the width of spray. It can work conveniently and quickly with less labor intensity. The truck-mounted model can be equipped with the computer line controller. Is mainly suitable for draw a straight line, dotted line, curve, zebra crossing, text, arrows, logo, etc. for roads, parking lots, airports, stations, factories etc.